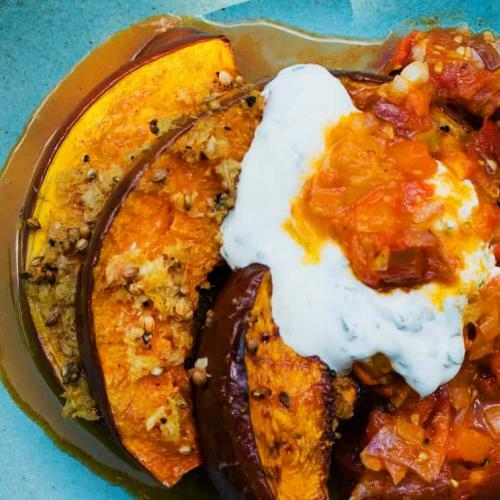 Sliced pumpkin or squash, roasted, with coriander seeds, ginger and yoghurt. 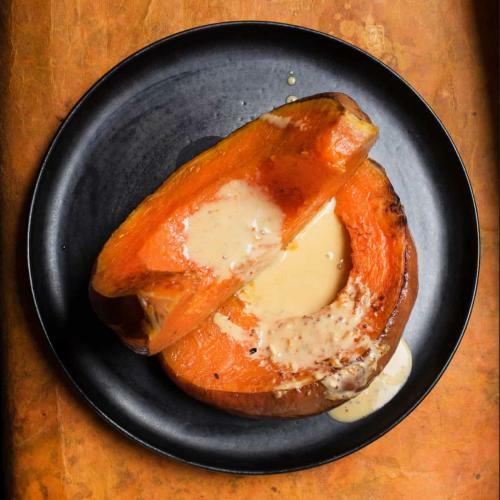 Slices of roast pumpkin with mustard cream sauce. 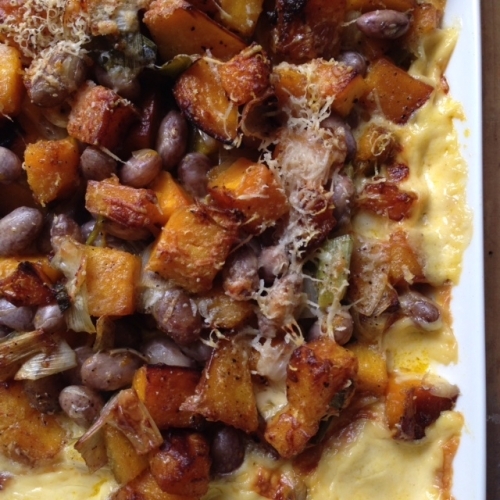 Pumpkin and fresh borlotti beans in a sauce of Gruyere and cream. 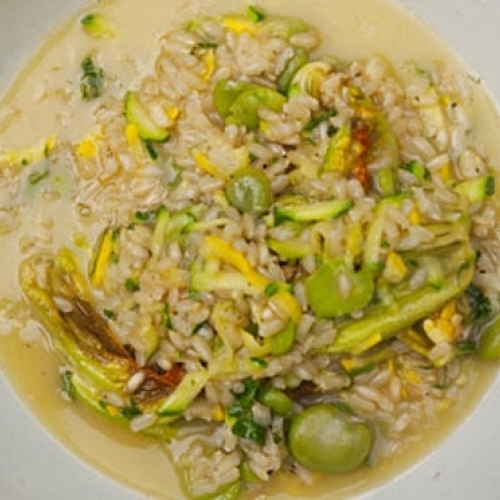 A soupy rice dish with grated courgettes, brown rice and broad beans. 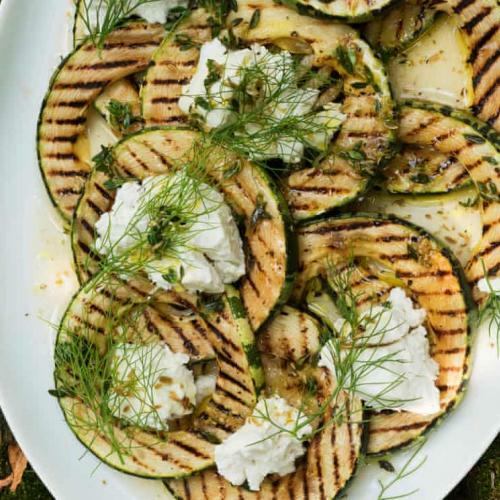 Grilled marrow, marinated and served with creamed ricotta. 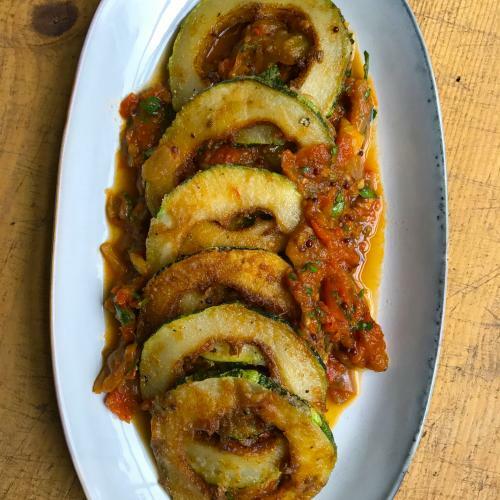 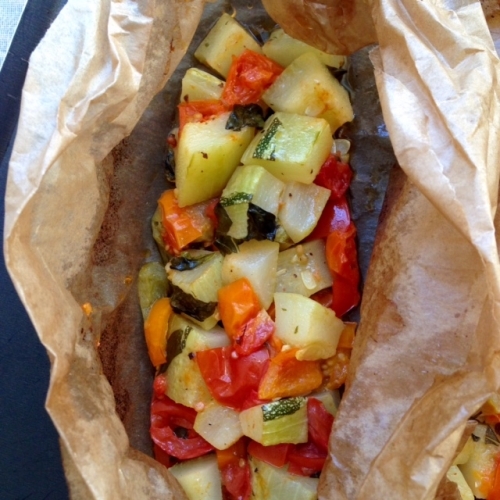 Marrow, stuffed and backed with tomatoes and fresh basil. 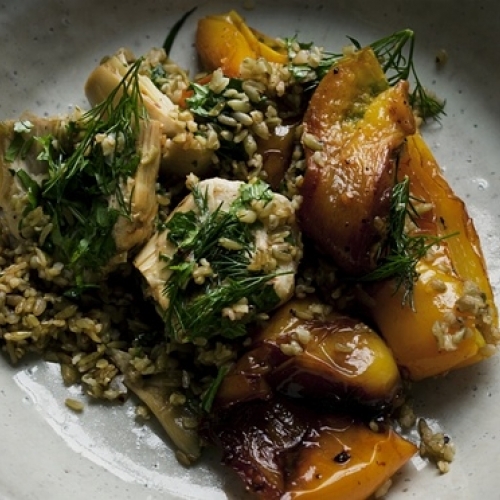 Slow cooked peppers, roasted wheat. 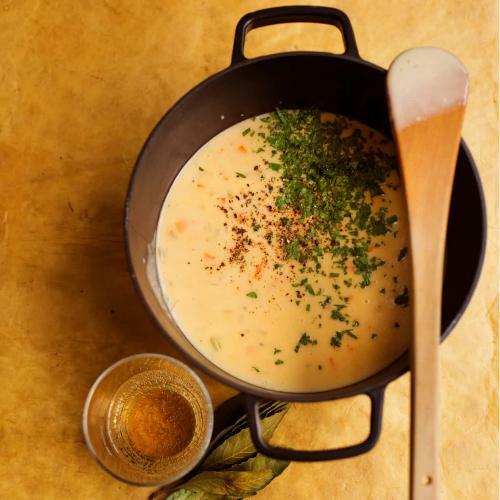 a recipe for an autumn evening. 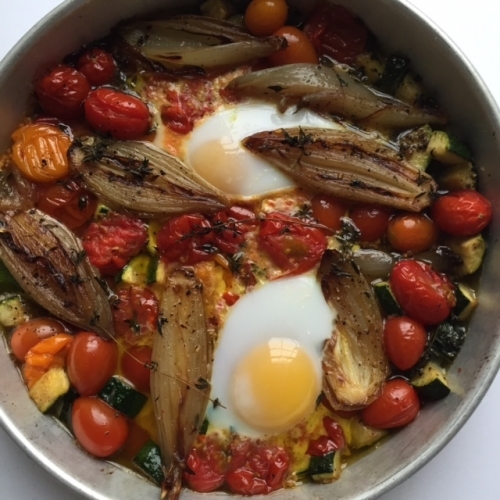 A dish of baked peppers, tomatoes and shallots with eggs. 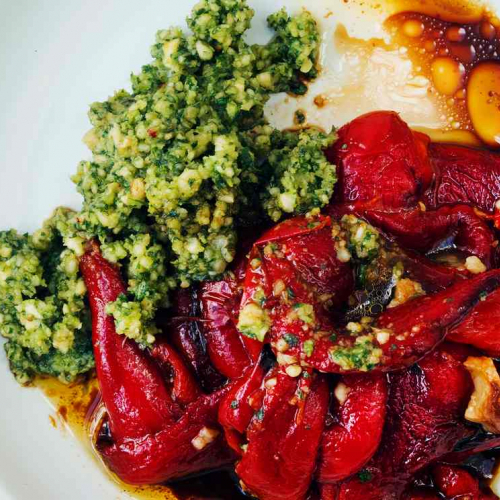 Baked Peppers with basil, almond and lemon pesto. 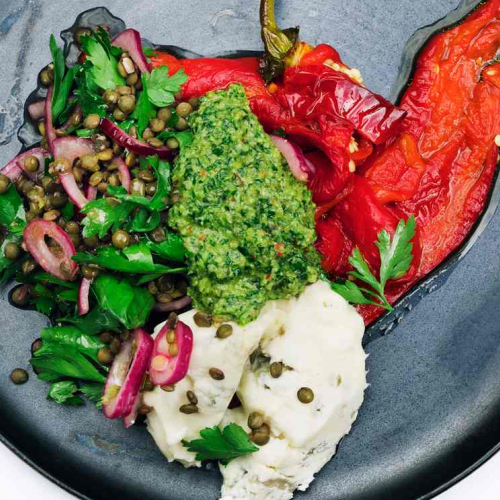 Baked Peppers, gorgonzola, lentil and red onions. 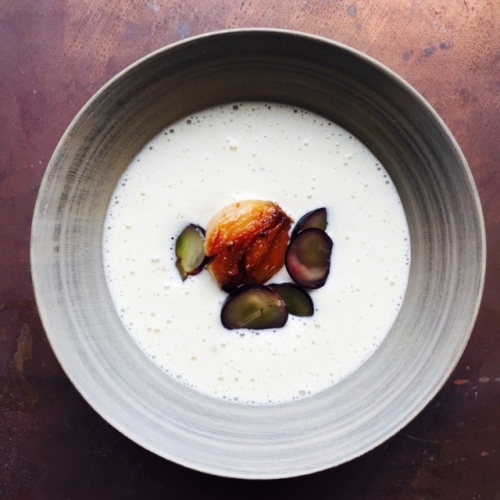 An iced soup of almonds, caramelised garlic and black grapes. 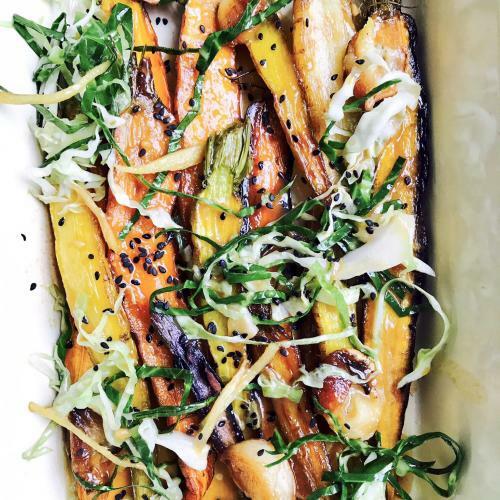 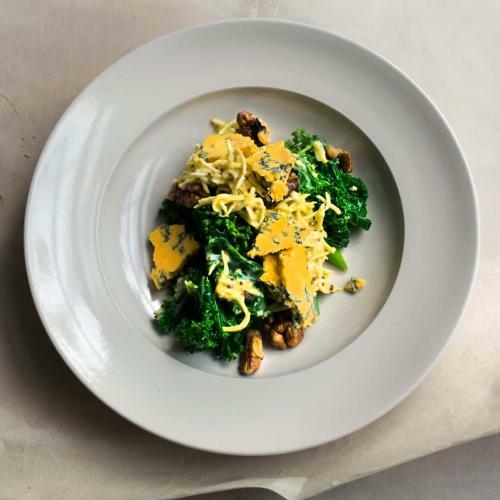 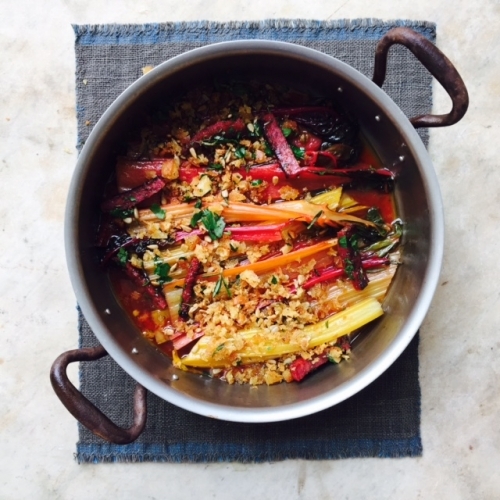 Chard, cooked with olive oil and served with crumbs, herbs and orange zest. 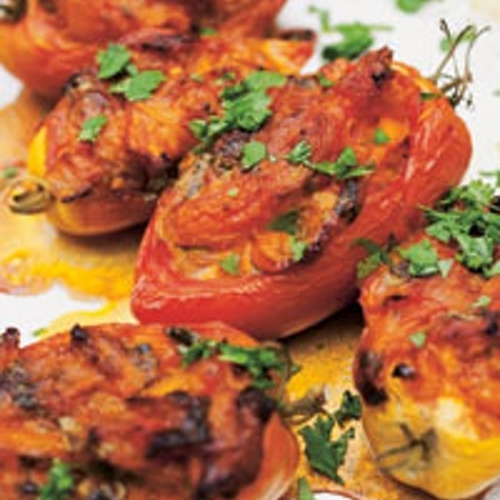 Plum tomatoes, baked with a mildly spiced filling. 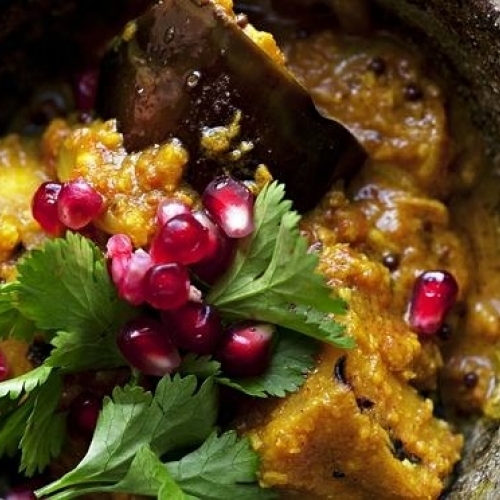 A sweet sharp curry with aubergines, tomatoes and ginger. 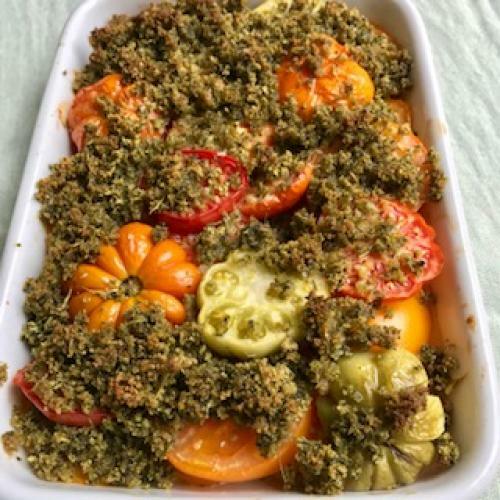 Baked, mixed tomatoes with a layer of basil infused breadcrumbs. 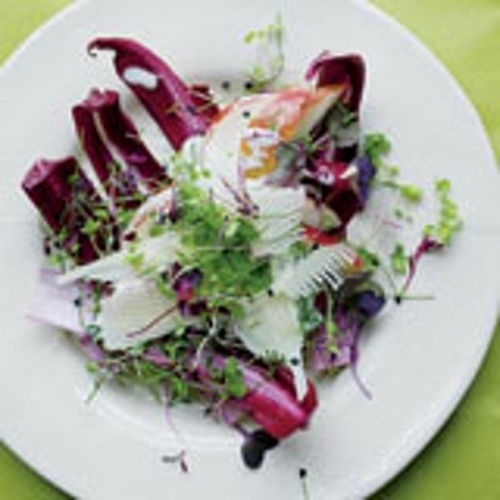 Pears, cheese, bitter salad leaves, sprouted seeds, yoghurt dressing. 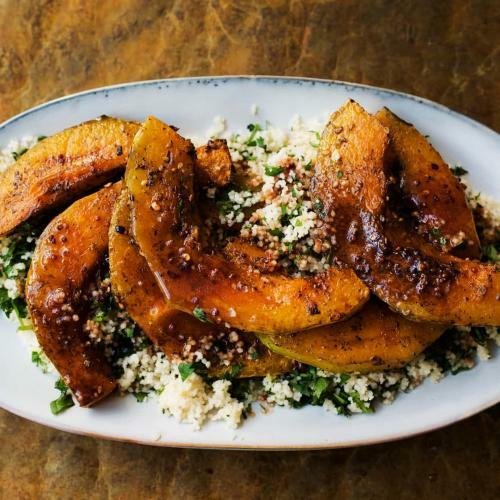 A salad for autumn. 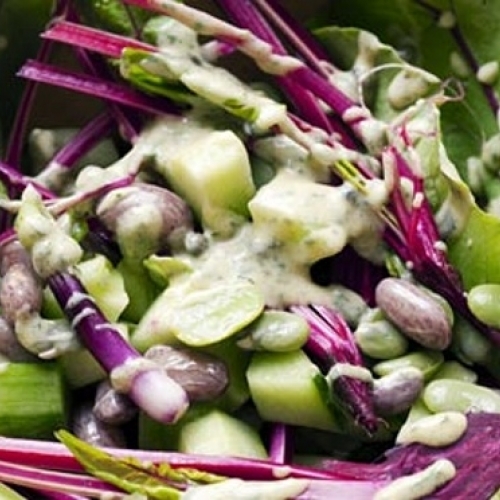 A salad bowl of beans, cucumber and beetroot leaves. 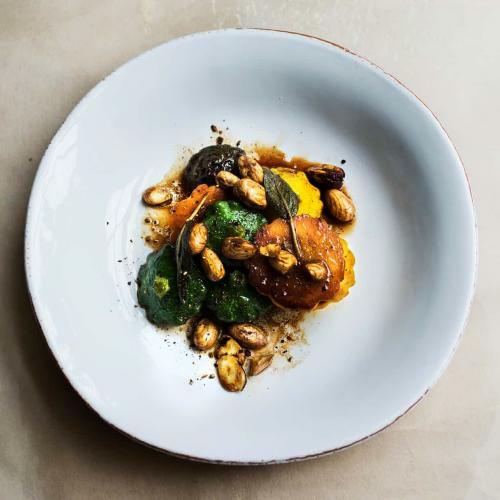 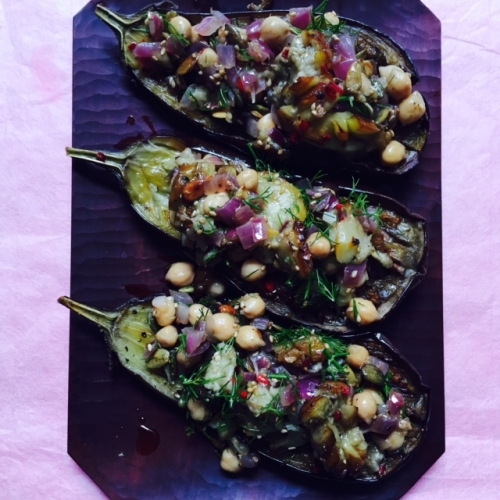 Baked aubergines, stuffed with chickpeas and pumpkin seeds. 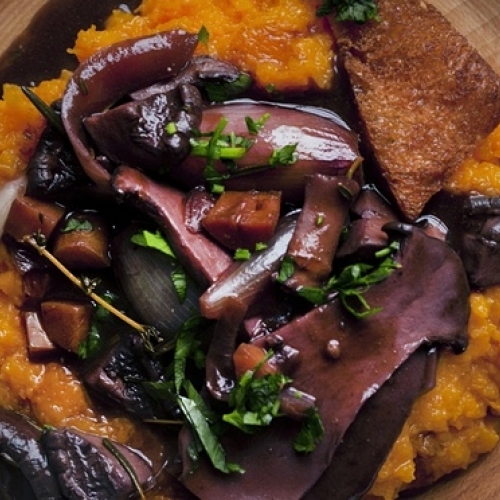 Mushrooms cooked with red wine and onions, sweet potato mash. 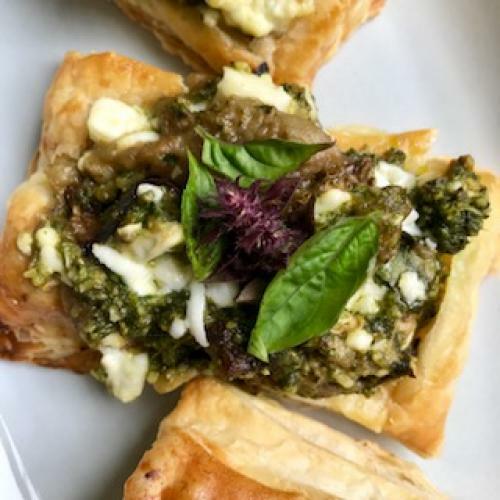 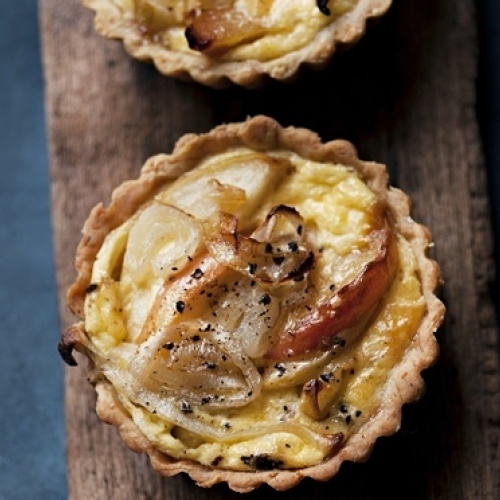 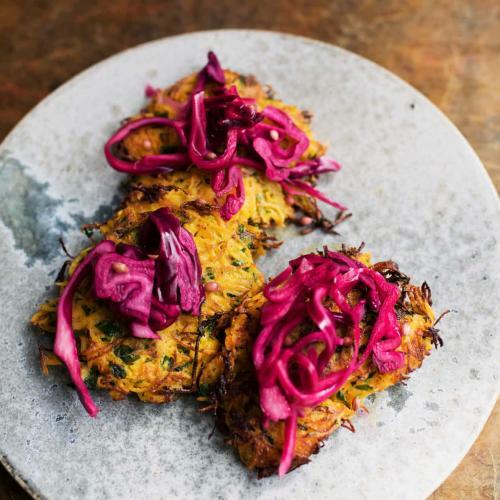 A good Christmas dish too..
Savoury tarts of onion and apple, for a lunch or to finish a meal.